While we wish you good health always, we’ve got healthcare that is worth bragging about. 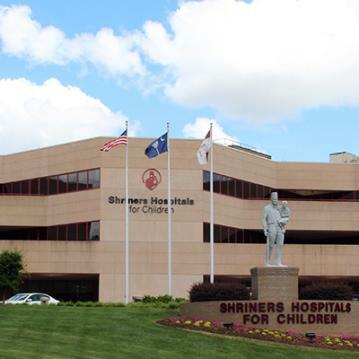 Together, Bon Secours St. Francis Health System, Shriners Hospital for Children and the Greenville Health System provide experts in every specialty along with emergency and exigent care. Stay well, but if you need it, we’ve got you covered. Bon Secours St. Francis Health System first began in Greenville in 1932 as St. Francis Hospital, a private, not-for-profit hospital. In 2000, the health system became Bon Secours St. Francis Health System and has been growing and contributing to the community’s health ever since. If the French name sounds familiar (translation: Good Help), it’s because the health system is the naming sponsor of the city’s major arena—the Bon Secours Wellness Arena. Today, Bon Secours operates inpatient hospitals, medical groups, cancer centers, surgical centers and urgent care locations across the area that can help keep you healthy whether you are a permanent resident or just visiting for a while. Shriners Hospitals for Children - Greenville is one of the 22 hospitals internationally that devotes itself to improving the lives of children. The Greenville facility is dedicated to orthopedic and neuromuscular conditions. From the day it opened its doors in 1927 here in the Greenville area, the Shriner’s Hospital has drawn a large number of children and their families from across the Southeast. Today the 50-bed facility is a colorful, fun and welcoming environment for healing children. Greenville Health System is the area’s oldest (1912) and largest healthcare provider with seven medical campuses, six hospitals, wellness, birthing, urgent care and outpatient facilities. From preventive medicine and routine procedures to emergency and acute care to wellness education and complex surgeries, Greenville Health System (GHS) offers a full range of services to the entire South Carolina Upstate. You’ll see the GHS logo all around town as it works to improve the overall health of residents (and visitors, of course).